We mine our regular horoscopes for clues and guidance when it comes to love, life, career, and health questions, so who’s to say we can’t translate the traits of our zodiac signs into beauty – something which features heavily in our day-to-day lives? It’s Aquarius season, so if you’re born between 21st January and 18th February, here’s how you can boost your beauty routine with a little astrology know-how. When you find a cause worth fighting for, you get behind it 100%. Veganism is probably something that appeals to you, and even if you haven’t fully embraced it yet, you’re up for easing yourself in. An easy way to transition into a more vegan friendly lifestyle? 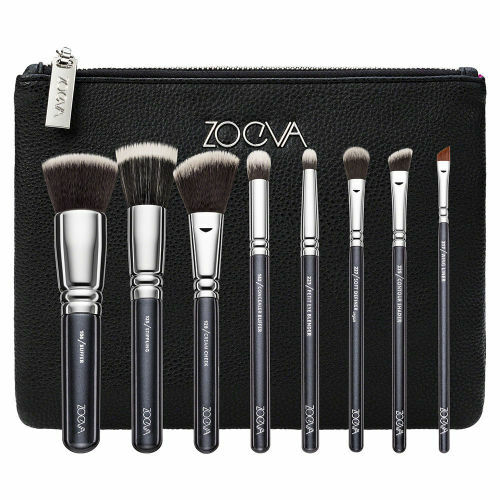 Swap out your old brush set for ZOEVA’s Vegan Set instead. Not only will it tick the box, but synthetic brushes are easier to clean and last much longer. Aquarians have no problem going against the status quo and breaking from the conventional to blaze their own trails – and for them, quirkiness is a compliment. 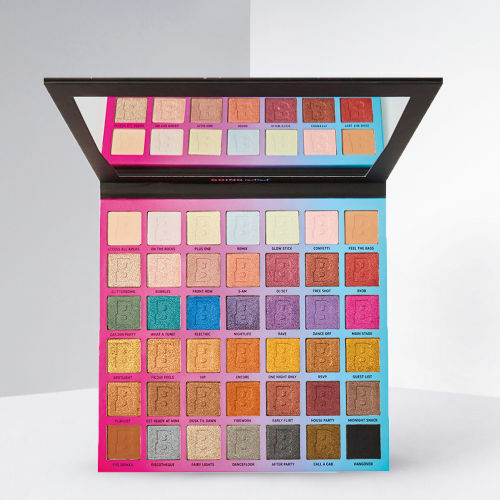 Free and eclectic by nature, you’ll appreciate the BEAUTY BAY Going Out Out Palette – 42 bright and eye-catching colours – so you can experience the full spectrum in your own creative way. You love to make a statement so sometimes you let comfort fall by the wayside. If something looks good, you’ll buy it, regardless of how well it works. 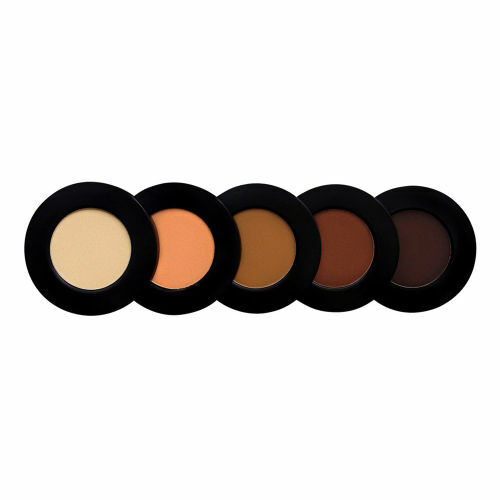 You’ll be drawn to Melt Cosmetics Eyeshadow Stacks – a fun, innovative way to make eyeshadow palettes travel-friendly – and while you might be purchasing for the packaging alone, the formulas are seriously good. Aquarians are known for being forward thinking and for thinking outside the box – you have a curious mind. 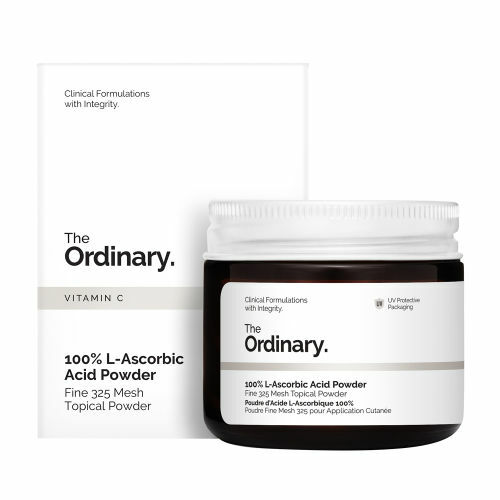 You love having freedom to do your own thing rather than being prescribed so you’ll love The Ordinary’s 100% L-Ascorbic Acid Powder, which allows you to customise your products by tailoring the strength of the vitamin C in them. Monotony is your greatest enemy, especially since you love trying new things and making a difference. Manifest your love of variety into your skincare routine by switching things up on the regular – Starskin’s Maskboss Pack contains sheet masks for any and every occasion, making skincare a chore no more. You never shy from colour, so it only makes sense that electric blue is your lucky shade. Symbolically, it’s associated with wisdom and intuition, reflecting the fact that you’re a serious thinker and the ability to see things from a ‘higher’ viewpoint. Use LA Girl’s Shockwave Neon Liner in Electric to give a subtle nod to your sign. Independence is a key aspect of Aquarius, so you like to make time for yourself to get lost in your thoughts, read, theorise, and write. You’re always happy when relaxing and have no issue doing so on your own, in fact you prefer it. You’re ultimate ‘me time’ session involves music playing, reading material, and face masks. As an Aquarius myself, I can fully recommend Alya Skin’s Pink Clay Mask for your next relaxation session. Aquarians enjoy finding new ways to do things and making their everyday routines more fun and interesting. You love the idea that something could be completely game changing, and will fight to spread the word if it’s something you love. Get behind cactus – the latest skincare buzzword – by trying Starskin’s Orglamic Pink Cactus Serum Mist. 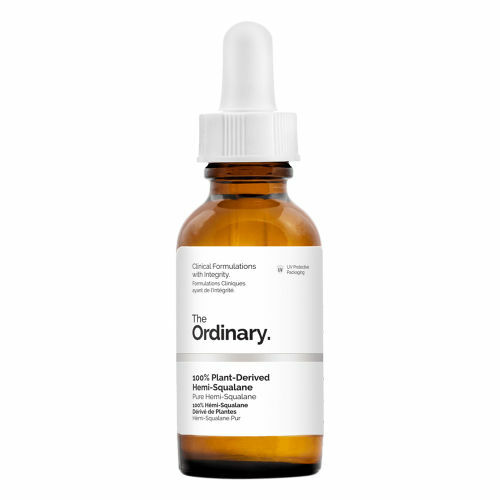 When it comes to skincare, the novelty factor really appeals to you. If you spot a product that’s you’ve never heard of before, you want to be the first to use it (and show the world just how ahead of the curve you are). Spot stickers are definitely going to be the next big thing, so pick up a pack of Yes To Tomatoes Detoxifying Charcoal Blemish Fighting Zip Zapping Dots. You’re keenly observant and constantly gathering information, which means you put a lot of thought into everything. Beauty products included – when it comes to skincare you always know what products do and exactly how they work. Plant-Derived Hemi-Squalane, anyone?